Amid ongoing dollar strength, crude oil continued to slide for the fifth time in the last six sessions. In addition, OPEC downgraded its forecast for future oil demand, which accentuated the slump. Despite central bank purchases of physical gold by countries like Russia, the precious metal is showing no signs of stopping its nosedive. The market is currently trading just above $1,133 this early morning and it would take a lot of courage to 'try to catch the falling knife'. 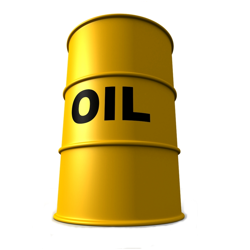 The US Department of Energy released its weekly stockpiles report yesterday afternoon which showed a lower than expected build in oil inventories. Stockpiles rose by just of 0.5 million barrels against estimates for a gain of more than 1.8 million barrels. That offered crude prices a rare chance to rebound, with WTI briefly rising above the $79 level. Amid renewed strength for the US dollar, precious metals tumbled sharply again, with gold slipping below $1,140 in intraday trading. The CFD markets expect the Republicans to push the economy forward and in turn hurt gold as they see less need for a hedge against turmoil or inflation. Reports that Saudi Arabia had reduced the cost of oil shipped to the US, choosing the preservation of market share over prices, continues to send crude south. Ignoring the encouraging outlook of the US economy, WTI futures lost $0.87 yesterday to $77.34 per barrel, touching a new recent low in the process at $75.92. We finally saw a rebound in gold yesterday after four days of hefty losses. The precious metal was driven by a slightly lower dollar, recovering $3.4 to $1,168.6, but the falling trend remains firmly in place. Faced with soaring US production of oil, Saudi Arabia took the drastic decision to cut the cost of the crude it sells to US customers in an attempt to preserve their market share. The energy complex's reaction was to send the price of WTI crude $2.41 lower to $78.21 per barrel as the price-war among OPEC members could start to escalate. We have not seen any rebound in gold after last week's steep decline took prices to their lowest level since 2010. In fact, a stronger US dollar ensured that the precious metal continued to head south, losing another $5.6 to $1,165.5, as traders speculated that the Federal Reserve will soon start preparing for a rate hike. A stronger dollar drove crude prices lower on Friday despite a sharp rally in world equities, with WTI losing $0.41 to $80.63. Amid ongoing signs of a slowdown in oil demand, the Organization for Petroleum Exporting Countries are resisting calls to reduce output, remaining engaged in an internal price war as they fear the potential longevity of the success of US fracking. With the US economy displaying its good shape, investors seemed confident about stocks and discarded precious metals again. Hurt by a higher dollar, gold plunged rather convincingly below the $1,200 mark, losing $26.3 to finish at $1,172.8, a low last seen in July 2010.